Reena has advised clients professionally since 1988, starting her career as a tax accountant and later, in 1991, as a financial advisor with Legg Mason. Five years later, she joined her husband at Old Dominion Investment Corp. Since then, she has worked closely with families helping them work toward achieving financial success. She recognizes that when clients walk through the door, they may not have yet formulated exactly their desires and needs. 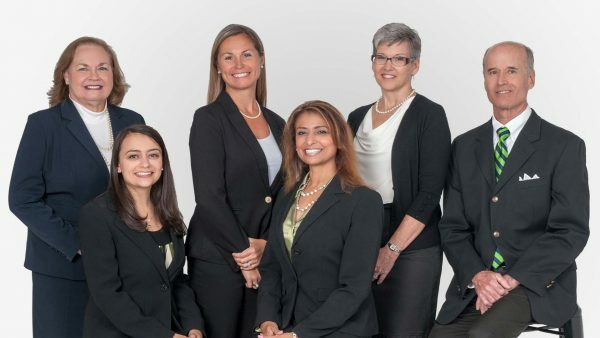 Reena offers support in defining their individual goals, and then strives to build a concrete financial plan that addresses those goals in a tax-efficient manner. She prides herself on being an extended family member to her clients and considers it a privilege to be involved in what she believes to be the three most important aspects of life: family, health, and money—often intertwined. 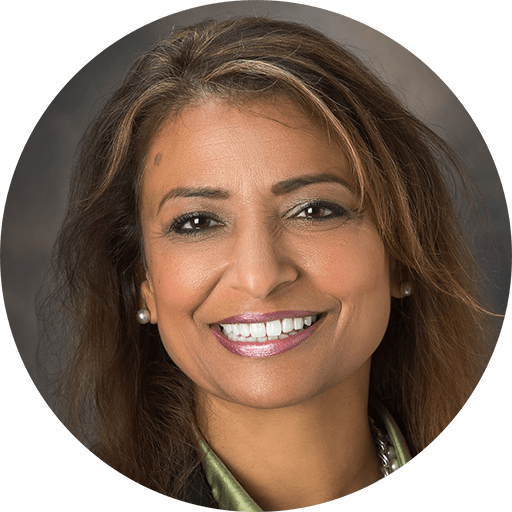 Reena earned her Bachelor of Science in Accounting from George Mason University, which allows her to understand and incorporate tax concepts into her financial plans. She also serves as a member of the Field Advisory Committee at H. Beck, Inc., her broker-dealer, and has had the privilege of serving on the American Funds Advisory Council, a group of about one hundred successful advisors chosen from all over the nation. She is an Investment Advisor Representative (FINRA Series 66 Registered), and a Securities Representative (FINRA Series 7 Registered), with H. Beck, Inc. She is also a General Securities Principal (FINRA Series 24 Registered), and is licensed as a health, life, and annuities producer. Reena was born in India and moved with her family to the United States at age seven. She has spent most of her life in Northern Virginia, and currently splits her time between Reston, Virginia and Ocean City, Maryland. Besides having a true passion for her career, she also enjoys traveling, spending time with her family and friends, and good food and wine. 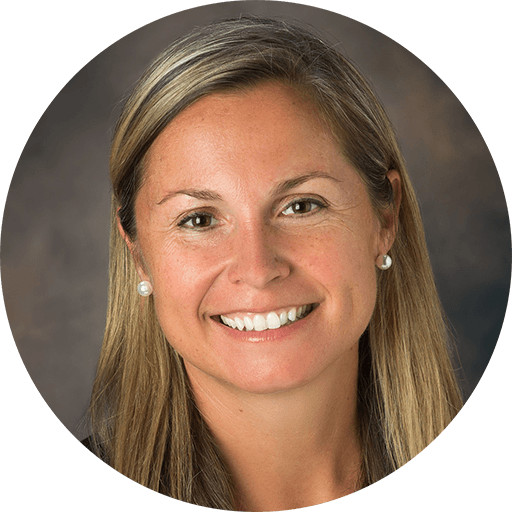 Kristi F. Connell, CFP®, MBA, is a Financial Advisor with Old Dominion Investment Corp. She joined the team in 2007. Kristi is passionate about educating her clients and helping them work towards financial independence. She helps her clients pursue their goals by carefully understanding and listening to their unique needs and situations. She strives to be a resource in every aspect of her clients' financial lives - including retirement planning, saving for college, investment management, insurance needs and more. Kristi earned her Bachelor of the Arts in Public Relations and Spanish from the University of Alabama and her master’s degree in Business Administration (MBA) from Salisbury University. She is a CERTIFIED FINANCIAL PLANNER™ (CFP®) professional. 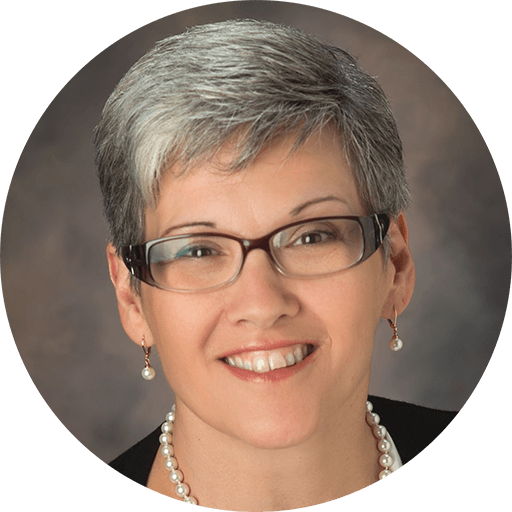 She is also an Investment Advisor Representative (FINRA Series 66 Registered), and a Securities Representative (FINRA Series 7 Registered), with H. Beck, Inc. She is licensed in Maryland, Delaware and Virginia for Life, Health and Variable Contracts of Insurance. Kristi is a native of West Palm Beach, Florida. She currently lives in West Ocean City, Maryland with her husband, John, and their two children, Kaeden and Brinkley. In her free time, Kristi enjoys spending time with her family, watching Alabama softball, traveling and reading. David graduated from North Virginia Community College with an Associates of Science degree. He spent the first half of his professional life with a nationwide fleet leasing company, where he quickly advanced from an entry level position to management. In 1990 he accepted a position as a financial advisor with Legg Mason in McLean, VA and moved to Old Dominion Investment Corp. in 1997. He is a Securities Representative (FINRA Series 7 and 63 Registered), an Investment Advisor Representative (FINRA Series 65 Registered) with H. Beck, Inc. He also has a life and health insurance license. He helps small businesses and high net-worth individuals manage their assets. Michelle joined the Old Dominion Investment Corp team as the office manager in 2008. She performs a wide range of duties including coordinating and scheduling meetings, providing administrative support to the team and working with clients to meet their individual needs. She ensures that our office runs smoothly and our clients are taken care of in a prompt professional manner. She uses her positive attitude, training, and organizational skills to ensure that our clients always receive excellent service and support. Michelle graduated from Mansfield University in 2001 with a Bachelor of Science in Social Work. Prior to coming to work for Old Dominion, she worked in Sales/Customer Service and as an Administrative Assistant for more than 20 years. She enjoys helping people and interacting with clients. In her spare time, she enjoys spending quality time with her husband, children and grandchildren. She also enjoys home improvement projects, gardening, painting, crocheting, reading and traveling.